Rick Perry is giving a big speech today in Iowa on his plan to "uproot, tear down and rebuild Washington, D.C. and our federal institutions." Nothing surprising there—it’s his attempt to recapture the Tea Party fervor that he drew when he flirted with Texas secession back in the spring of 2009, but which he's lost in recent months, partly because he was deemed to have excessive "heart" toward the children of illegal immigrants. Some have even abused the public’s trust, trading on inside information to pad their stock portfolios. Congress has proven it can’t be trusted to watch our money, and now its clear they can’t be trusted with theirs’. Any Congressman or Senator that uses their insider knowledge to profit in the stock market ought to be sent to jail—period. And my plan makes that clear. But in reality, they shouldn’t wait until we have a new president, they ought to pass a law right now that criminalizes Insider Trading in Congress, no ifs, ands or buts. It was great timing. Later that day, a group of investors bought up 2.2 million shares in the company, sending the price soaring and netting Perry a nice gain. On the day of the stock purchases, Perry had given a speech before a group founded by Leininger. Both Perry and Leininger later admitted talking on the day in question but denied discussing the stock. Perry would go on to sell his Kinetic Concepts stock—a total of more than 8,000 shares—a month later for a $38,000 profit. It took at least two years for an Austin attorney to uncover the suspicious trade. The attorney, who would only discuss the matter on condition of anonymity because he continues to have dealings with the U.S. Attorney’s Office, said he spoke with two sources who corroborated that Perry and Leininger had met on the day in question and that the donor had advised the politician on the stock purchase. 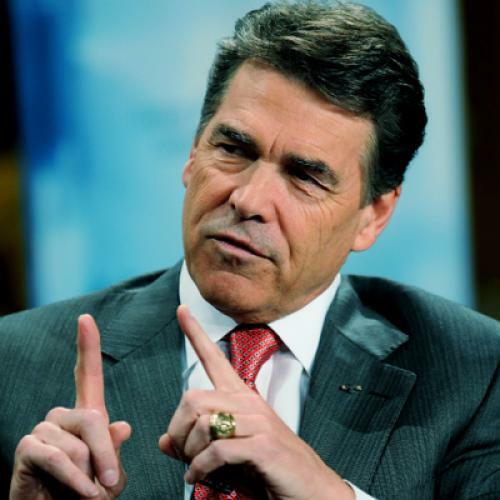 "Perry bought immediately," the attorney recalled. "I mean it was immediately. It was immediately after that that the transaction was announced and the stock went up considerably. My source was telling me that Leininger told [Perry] to go buy some stock." "I was told that such a private conversation took place and in that private conversation, Leininger told him he needed to invest a little money," the attorney added. The attorney took his findings to federal prosecutors. They met in an Austin ice cream parlor and he related what he knew. James William Blagg, who was the U.S. Attorney for Texas' Western District at the time, confirmed there was an investigation into the Perry stock tip and that he deemed the allegation credible enough to pass to the FBI. "I received some information and supplied it to the FBI," he told HuffPost. "That's exactly what happened. That's what I recall happening." And as I reported in my cover story on Perry, his association with Leininger only grew after Perry's lucrative investment. Leininger was one of the backers of a $1.1 million loan to Perry in the final week of his very close race for lieutenant governor in 1998; as governor, Perry named several former Kinetic Concepts executives to key state boards and commissions; Leininger, an avid proponent of private school vouchers, accompanied Perry on a trip to the Bahamas to discuss school finance with Grover Norquist; he gave Perry $239,000 in campaign contributions over the course of the past decade; and Perry awarded $4.75 million in taxpayer funds to two biotech companies that Leininger held a stake in. Perry and his wife some time ago had to vacate the Texas governor's mansion after it was closed for renovations. Have they now decided to move into a glass house?